For a children's book I thought it was great. I was asking my son if we could get back to it. Interesting setting, character development and storyline. Realistic and thought provoking (for a child). I would like to read some more of this author. 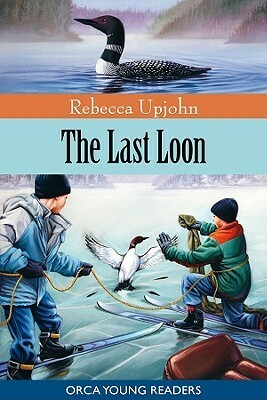 The students at my school loved this book... they voted it as the winner of the Forest of Reading. Just remind children that they should never do as the characters do in the book.... STAY OFF THE ICE!!! Rebecca Upjohn - When Rebecca was small, her family's television blew up and her parents decided not to replace it. Instead they filled the house with books it's not entirely surprising that Rebecca developed a love of reading and writing her own stories.